Goat Cheese | Holy, delicious! Today was one of those glorious fall days where it was warm enough to not see your breath but cool enough to have wear cozy layers. If I didn’t have to go to work today, it would have been glorious day to be curled up on my couch with a nice, hot cup of tea and a good book! I had a few errands to run today after work and ever the multi-tasker, I thought it would be wise to get all of my shopping done before heading home. Did I mention they were calling for a rain storm this evening? I had to go to the dollar store and buy enough plates, cups, napkins and cutlery for 100 people (my Toastmasters club is hosting the Division contest tomorrow!) and then I needed a few things at the grocery store. I was on my way home, when I realized that I had to pick up a parcel from the drug store’s post office. So, in the cold rain, I have a massively awkward box under one arm and in the other, my purse, lunch bag and a huge plastic bag from the Dollar Store. Sometimes I daydream that a devestatingly handsome man will offer to carry my bags home for me. But instead, I get dirty looks from oncoming pedestrians as I take up half the width of the sidewalk because the box that I’m desperately clinging to is large and in charge. By the time I made it in – I was drenched, hungry and miserable! I knew just the thing to make for dinner…an oldy but a goody… You may know her as Tuna Casserole. Having fish for dinner tonight really tied in well with my nerdy, internal debate: Flax or Fish oil: Which one is more beneficial? Yes, these are the thoughts that occupy my mind. Scary? Sad? I can’t think of another “s” word so I will end it there. My good friend, who works for an Omega-3 company, informed me that though flax has ALA, which is needed to help convert the omega 3, it has a lower level of DHA and EPA than fish oil. BUT flax has other benefits like fibre and magnesium and aids in the absorption of calcium. BUT the whole point in me taking these oils was to get more Omega 3, so once I’ve finished this flax bottle, it’ll be back to ole fishy oil. UNLESS, I take Omega 3-6-9 capsules and the flax oil to help with the absorption… SEE?! Not straightforward. Or is it? 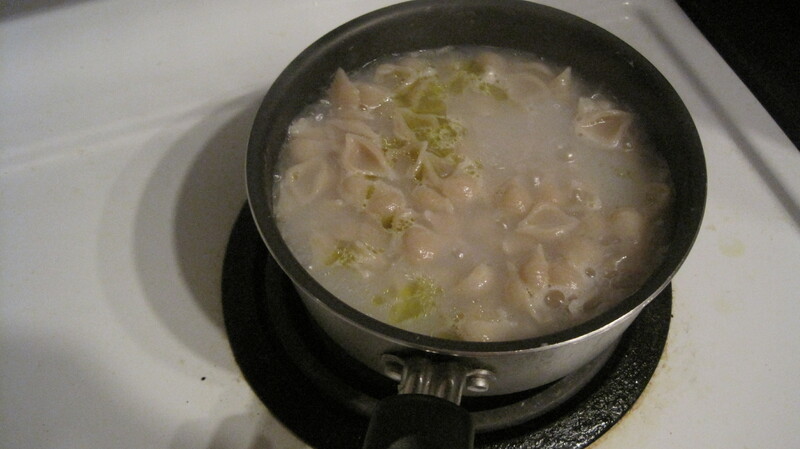 That’s 2 cups of shell pasta in the smallest pot I own. WHY? I do own other, larger, more useful pots. It all turned out for the best, though, but seriously…seriously. 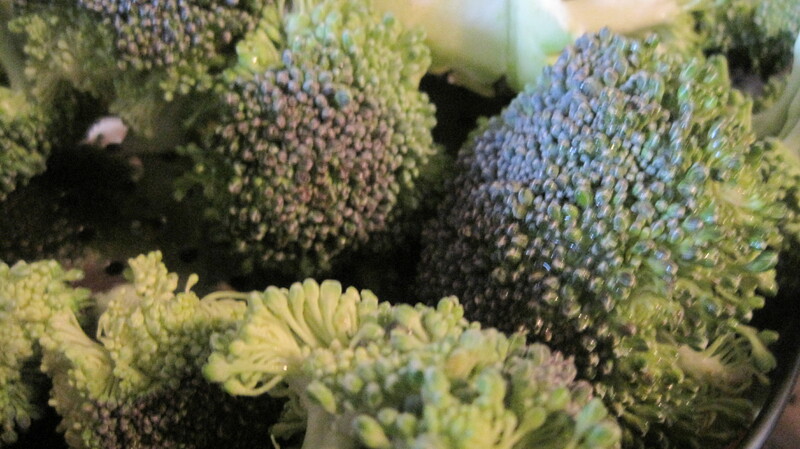 Here’s how to make the casserole that saved my sanity! 1. Pre-heat oven to 350f. 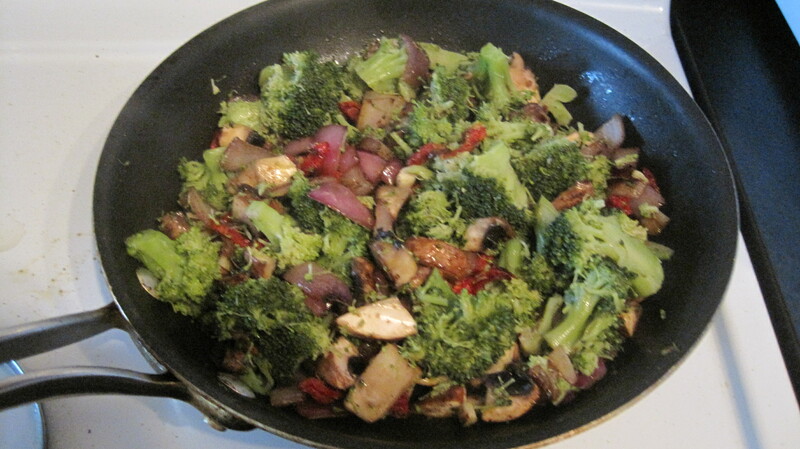 Then, in a large pan or skillet, pour the oil until heated. Then add the spices and stir until fragrant. (about 3 minutes). While this is heating, start to boil water for the rice pasta and prepare this on the side. See the above photo! But please, use a larger pot. 2. 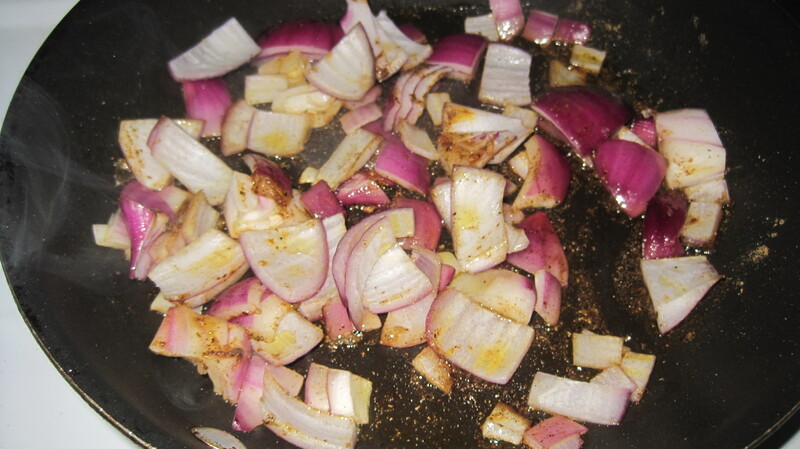 Add the onions and cook until they start to become transparent. 3. Add the diced tomatoes. Stir in with the onions and spices. Let the tomatoes simmer until they start to become juicy. About 3 minutes. 4. Add the zucchini and stir it in with the tomatoes, spices and onion. 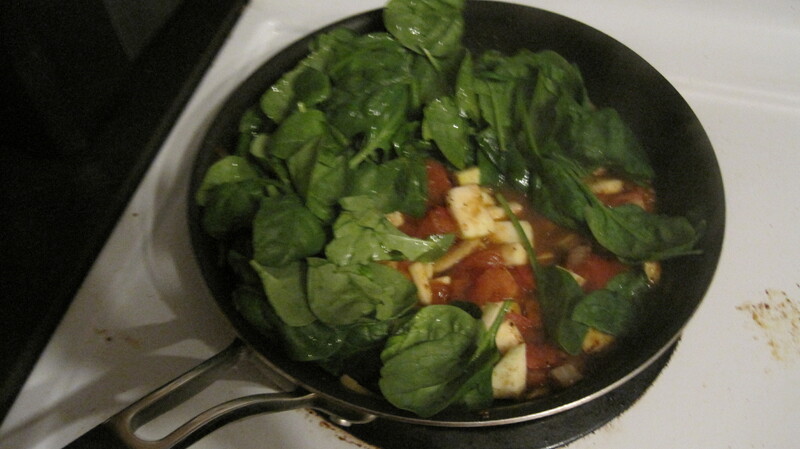 After about 3 more minutes, add the spinach and stir in gradually. 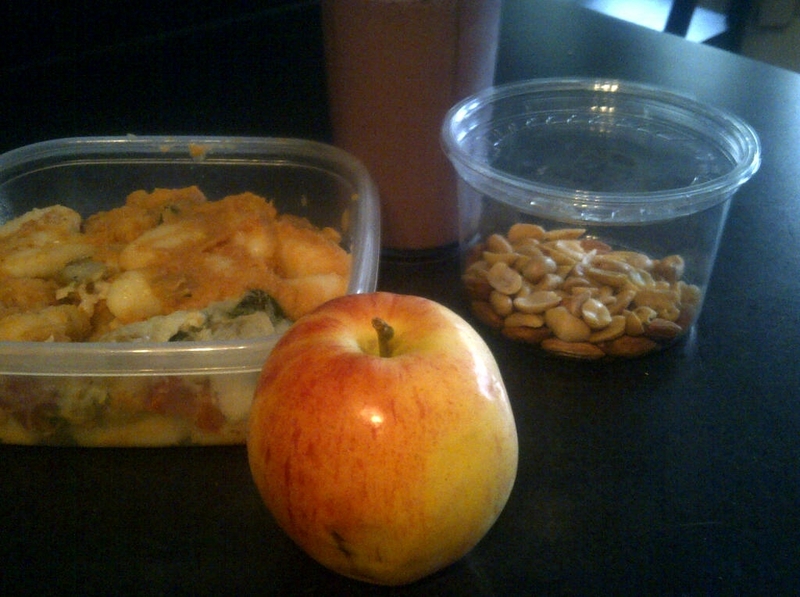 It will look like this… but as the heat and juices rise up, the spinach with shrink and it will be easier to stir it in. I PROMISE! But you have to be patient! 5. 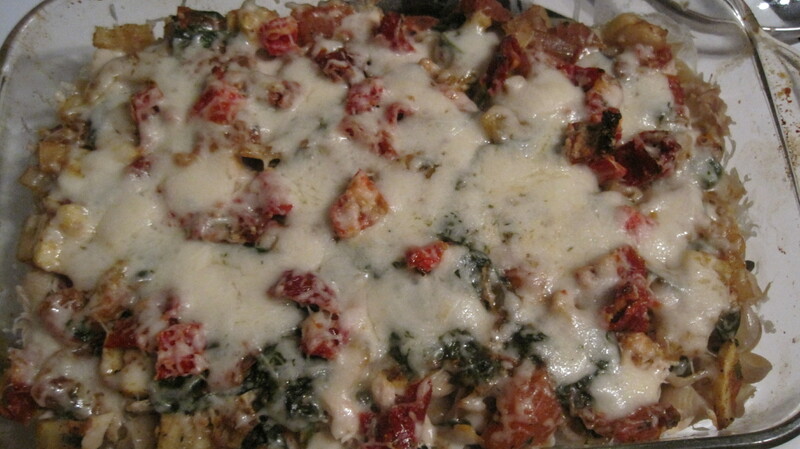 Once the veggies are stirred and the pasta is cooked, you can then add the following to a medium-sized casserole dish: Layer : pasta, tuna, veggies, sundried tomatoes, grated cheese. 6. 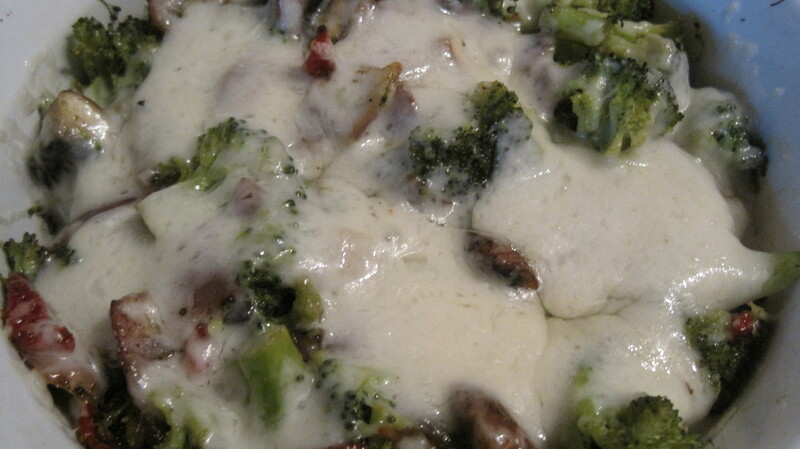 Bake at 350f for 10 to 15 minutes, or until cheese is melted. Serve as is or with a side of your choice. This would go well with a salad or even a creamy soup (like cauliflower or something seasonal like butternut squash or sweet potato). This also would have been amazing with a nice glass of merlot…but my hands were way too full to carry anything else home. This weekend, I’ll be sure to stock up!